I had to get real up close and personal with this one because I wanted to capture how beautifully moist this cake was. As soon as I laid eyes on it, I knew I wanted it. I could imagine playfully crunching down on the little seeds before I even had the plate in front of me. Once served, I tore the fork out of the napkin, eager to experience the kind of cooked wet dough that becomes a bond, sandwiched between your tongue and the roof of your mouth. I delicately parted the first bit from the mass with my fork, creating a little runoff crumble. Brought the piece to my mouth, probably larger than I could gracefully handle. 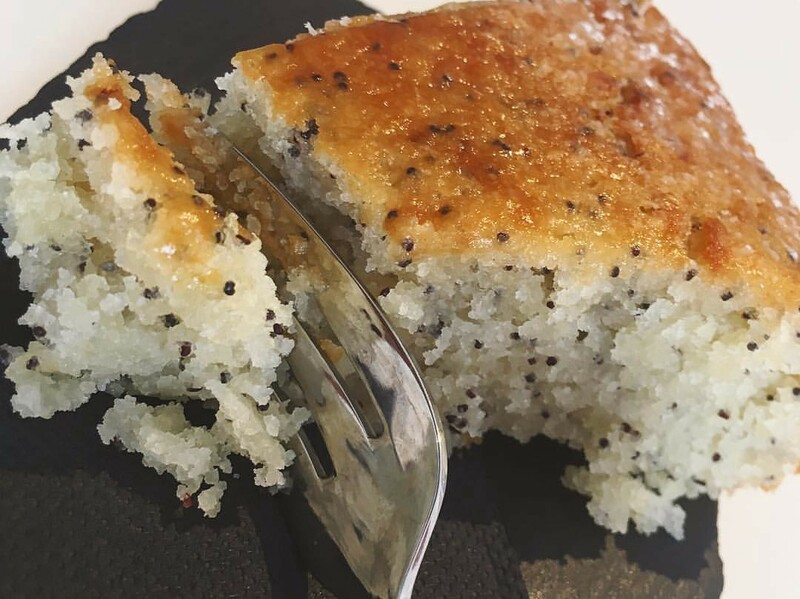 Passed the lips, made contact with the tongue, and stroked the fork along its exit to make sure I was keeping ever trace of this lemon poppyseed cake in my mouth to swallow. A lovely infusion of citrine, balance of subtly sweet sugarcane, and a playful texture of seeds amongst the soft that I could chew on for hours. I had a good feeling about this one…so glad I trusted my intuition.